Wedding Receptions are the best! Everybody is in high spirits, the food on the wedding menu is delicious, guests are dancing, the family is celebrating, singles are mingling, and the whole party is incredible! Your wedding is the biggest day of your life. You want to commemorate the occasion by picking the perfect location to get married, whether it’s a church, synagogue, city park, banquet hall, or whatever other location you envision yourself taking the plunge. It’s your big day; why not have it be perfect down to the last detail? And the perfect marriage includes finding the right wedding reception hall to host your after party. If the wedding is for the bride and groom (and their proud parents), then wedding receptions are for all of the guests who came to see the couple’s union and bought gifts. They get to unwind and boogie down while the newlyweds sweep around the room putting in face-time with all their friends and relatives. Don’t settle for a rundown banquet hall or a relative’s house for your wedding reception. Mirage Banquet Hall is affordable, elegant, and accommodating! Contact Mirage to discuss taking a tour of the premises and to request a quote. The wedding reception hall at Mirage is absolutely gorgeous and our staff can decorate it to fulfill even your wildest dreams. For your wedding, make sure the reception hall meets your standards so that the day is unforgettable. Most of your pictures from the evening will be in the wedding reception hall, so you will want an elegant backdrop for the breathtaking wedding dress that the bride is wearing. 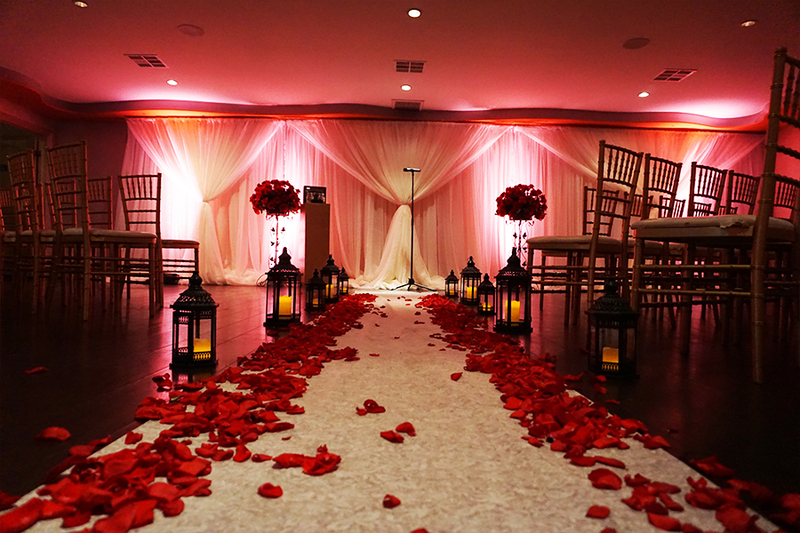 You can schedule an appointment to view our Los Angeles banquet halls in person. This is a big day; don’t celebrate it in the cut-rate wedding reception halls. Choose Mirage Banquet Hall.